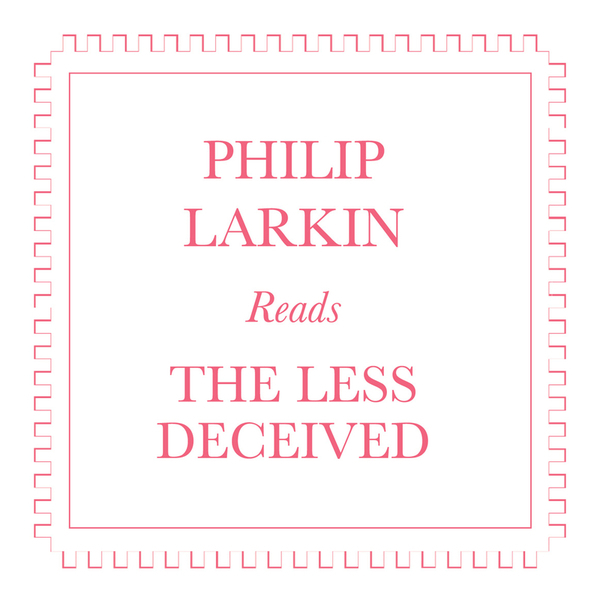 After decades spent out of print, The Lost Noises Office present an all-too rare recording of Philip Larkin reading through his 1955 collection of poems, The Less Deceived. The album was recorded in 1958 and features such well-loved and venerable works as 'Church Going', 'No Road' and 'Reasons For Attendance'. "Recorded in a professional studio that, according to Philip Larkin was "alright for making a private record for your New Zealand cousins of your daughter singing Over The Rainbow", this rare recording of the author reading his 1955 collection is seldom heard. It also states in the original Larkin sleevenotes that the studio was rather noisy during the recording: "there were all sorts of extra noises that were unsettling - people going upstairs, and pulling lavatory chains, and so on. You can't hear them on the record, but they were there." The recording took place on 24th October 1958 in London and was edited by George Hartley."